I haven't read the books but I've heard good things and also that this makes an absolute mockery of them all sadly. 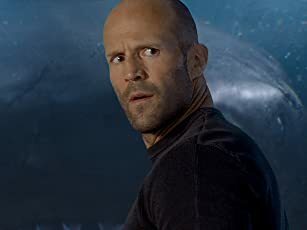 A US/China collaboration The Meg is big flashy CGI laden stuff, but does it actually have even a degree of substance? Kind of. Starring Jason Statham, Ruby Rose, Rainn Wilson & Bingbing Li I can only assume that the Chinese studio just took a step back and let the US one do most of the work as this is big over the top Hollywood tripe at it's tripiest. It tells the story of a state of the art research base who discover that a trench may in fact be deeper than first believed. Venturing down to find out they discover a prehistoric Megalodon that isn't all too friendly. Cue lots of cgi, shark movie cliches and terrible acting from Statham, but don't worry ladies he gets his top off. 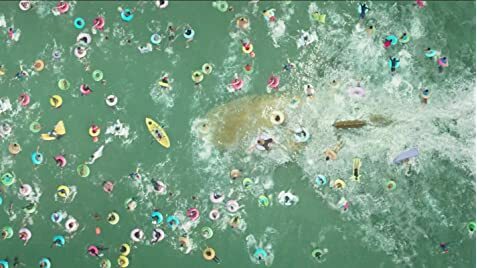 The Meg creators clearly watched the Scyfy channels entire back catalogue of shark movies because it actually manages to suffer with many of their crazy logistics. Like how an enormous shark manages to sneak up on people in water too shallow for it even to be in! Again this is Hollywood so it all looks shiny, it cost a fortune to make but it's as deep as a puddle. One notable thing is though that the cgi isn't as good as the budget would suggest, in fact in places I have to say it's really quite shoddy. 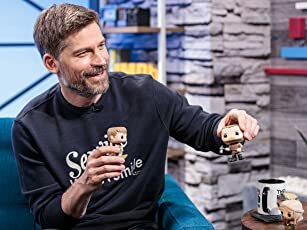 That's unforgivable considering how much this thing cost to make! And the PG violence for a shark movie, well that's just dumb. 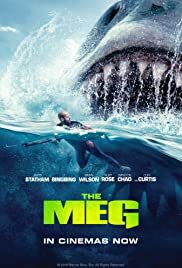 And that pretty much underlines The Meg, dumb. Big, dumb, stupid, predictable, cliched, Hollywood tosh.